5. Be detached from desire your whole life. con deseo en tu vida. As you may or may not know, I come from sunny San Diego; North San Diego County, the city of Vista, to be exact. While North County may be a distinct experience as compared to the city of San Diego, SD is still my home. 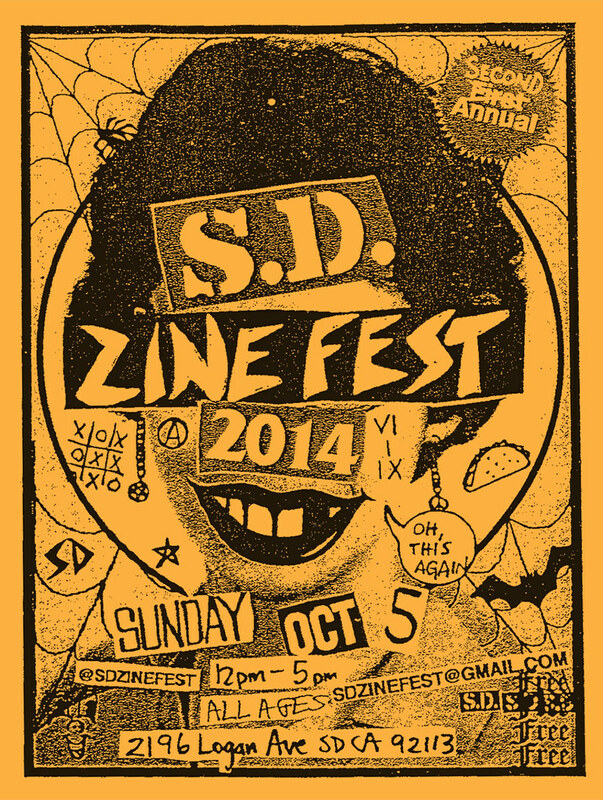 All that said, I’m coming home on Sunday, October 5th, 2014 to represent Smiley Faze and my nonprofit, DSTL Arts, at the 2nd Annual San Diego Zine Fest. Don’t think you’re going to get a sneak peek right now though. You’ll need to be at the SD Zine Fest to be one of the first people to see and buy Volume 1. Debuting a new chapbook alongside me that day will also be my beautiful fiancé, Jennifer Fuentes, of Crayón Literati. Her latest collection of short, memoir stories is being designed by me, and you’ll be able to buy a copy soon via my online store. In the meantime, enjoy the rocked out video the punk-rock-happy people at the SD Zine Fest sent us all to help promote the event.